Students are often confused by the concepts of stable isotope signatures and conventional notation. 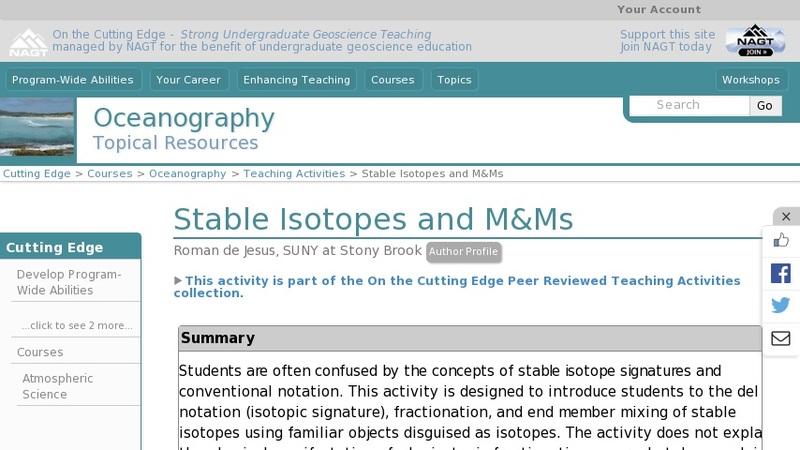 This activity is designed to introduce students to the del notation (isotopic signature), fractionation, and end member mixing of stable isotopes using familiar objects disguised as isotopes. The activity does not explain the physical manifestation of why isotopic fractionation occurs, but does explain the concepts that one easily observes when interpreting stable isotope data sets.